Stephen Nolan and Sarah Travers meet the country's most innovative entrepreneurs. Here, they check out a new prototype for allergy testing among other business ideas. 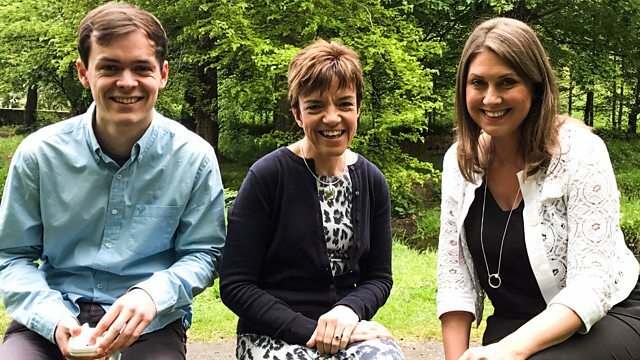 Stephen Nolan and Sarah Travers travel around Northern Ireland meeting some of our most innovative entrepreneurs. This week, they check out a new range of table sauces, a self-grooming cat flap, a new prototype for allergy testing and meet a young student and her teacher who have developed a new range of books to help children and parents deal with cancer. They also attend the 2017 Invent Awards, which showcases Northern Ireland's leading entrepreneurs. Stephen and Sarah travel around Northern Ireland to discover the latest business ideas.